The gomo authoring and hosting suite adds several powerful new learning video technologies, including screen capture, automatic caption generation and translation, video recording, video upload, video editing and video content management. gomo, the award-winning cloud-based, fully responsive eLearning authoring tool and delivery suite, is delighted to announce a raft of new video-based features. The newly-expanded gomo authoring and hosting suite has been made possible following the recent PeopleFluent acquisition by gomo’s parent company, Learning Technologies Group plc, which includes learning video specialists, KZO Innovations. With gomo video, users can now upload, record, manage, edit and distribute videos, with PowerPoint and PDF synchronisation, searchable time-stamped chapters, social features and more. The new gomo video technology comes as standard with automatic caption generation (known as closed captioning), as well as automatic caption translation, allowing Learning & Development professionals to roll out videos to a global audience in minutes. In addition, gomo video (powered by KZO Innovations) adds screen capture technology to gomo’s growing list of capabilities. Again, gomo’s screen capture technology supports automatic caption generation and translation, allowing organizations to roll out multilingual software training with ease. Mike Alcock, Managing Director of gomo, said: “This is a truly revolutionary moment in the history of gomo. Up until now, we’ve offered our global customers access to world-class eLearning authoring and hosting tools. Now, we can offer organizations and their learners that all-important ‘YouTube experience’: user-generated content that’s easy to upload and share, as well as video content that can be easily created, shared and tracked. With screen capture (something our customers have been asking for repeatedly), automatic captions, automatic translations and social features, we can revolutionize the way companies can reach their global audiences. Click here for more on gomo video. Alternatively, to request a demo or inquire about pricing, get in touch today. The gomo learning suite provides three multi-award-winning products that allow you to create, host, update, distribute and track beautiful multi-device eLearning. gomo authoring creates truly responsive and adaptive HTML5 content that looks perfect on all devices, including desktops, tablets, and smartphones. gomo hosting and analytics allows you to get content into the hands of learners instantly via websites, direct link, QR code, the gomo LMS wrapper, social media, the gomo central mobile learning app and more – all with full xAPI analytics. 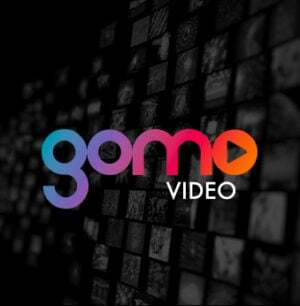 gomo video allows you to repurpose, enhance, disseminate and track video content with speed and confidence. With an ever-growing client base including Nike, Jaguar Land Rover, Booking.com, EE, Royal Mail Group, Santander, British Airways, Shell, Rentokil Initial, United Healthcare, the BBC, Norton Healthcare and many more, gomo is quickly becoming the established choice for global organizations seeking collaborative, future-proof and responsive HTML5 multi-device eLearning. gomo is part of Learning Technologies Group plc’s award-winning group of specialist learning technology businesses. We can now offer organizations and their learners that all-important ‘YouTube experience’: user-generated content that’s easy to upload and share, as well as video content that can be easily created, shared and tracked.